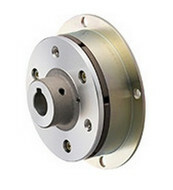 Miki Pulley offers a wide variety of clutches and brakes to the motion control industry worldwide. With decades of experience, our designs have been tested and refined to deliver unparalleled quality and reliability. As the name suggests, Electromagnetic Clutches and Brakes function by utilizing the magnetic force generated by the energized coil. These products may be divided between two basic functions: ‘energized’ and ‘de-energized’. In the ‘energized’ type, the clutch or brake is operated when power is supplied to the coil. In the ‘de-energized’ type, the energized coil exerts force on the moveable plate, thereby compressing a series of springs that were otherwise holding the movable plate against the rotor. Then when de-energized, the springs are free to push the plate against the rotor to stop rotation. 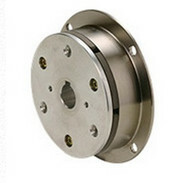 Miki Pulley provides quality industrial clutches and brakes to many well-known OEMs throughout the world. Our clutches and brakes have proven their value in the industry, meeting and surpassing customer requirements in terms of quality and service life. 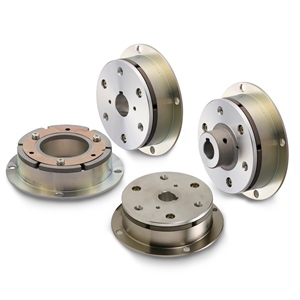 With a wide range of sizes available, you may also choose between shaft or flange mounted types. The 111 design borrows from a flat-screen brake and clutch. This brake is ideal for sudden stops. There are three different armatures types available, with shaft and flange mounting styles offered. The BSZ is similar to the 111-12 model brake, but offers a slimmer profile and available in two different armature types.